Whether you are a professional or an occasional athlete, injury is painful and debilitating. At London Orthopaedic Specialists we have a comprehensive team which include physiotherapists, orthopaedic surgeons and rheumatologists recognising that occasionally you might need the support of a team to get you back on the go. Many of the consultants at London Orthopaedic Specialists work with elite athletes in the fields of football, golf, cricket, rugby, athletics, ballet, tennis, American football and skiing. Sports injuries are often first assessed during physiotherapy and the majority are treated without the need for investigation or further medical or surgical intervention. At London Orthopaedic Specialists we have a team dedicated to physiotherapy that are able to refer you to a network of specialist Orthopaedic Consultants for treatment should it be required. Our physiotherapy department is staffed by chartered physiotherapists who have a wealth of experience in assessment, treatment and rehabilitation of sport and recreational injuries. Many of the physiotherapists have experience of working with a variety of national and international sporting organisations and venues. We also offer advice on training for such events as marathons and skiing, as poor training can result in nasty injury, whilst good advice can prevent so many unnecessary trips to the doctor or even worse, failure to participate. If further opinion is required there are many orthopaedic/rheumatology consultants who have an interest in sports injury based at the Hospital of St John & St Elizabeth. Between this consultants group there will be a wide spectrum of speciality. Many of the consultants at the Hospital work with elite athletes in the fields of football, golf, cricket, rugby, athletics, ballet, tennis and skiing. Our Consultants provide specialist clinical and diagnostic services and use innovative treatment interventions to optimise recovery from sports injury, prevent future injuries and improve sporting performance. We provide specialist injury treatment for people involved in sport and exercise at every level – from the local park to the Olympic Stadium. Our Consultants have extensive experience working with Olympic athletes, including the Great Britain London 2012 Athletics Team, and can use this expertise and knowledge of cutting edge sports medicine to assist patients of all abilities return from injury to their chosen sport or exercise. London Sports Medicine regularly treats a range of patients from sportsmen and women playing for leisure right up to professional, world-class athletes. Below are some visitors to our clinic in recent years. 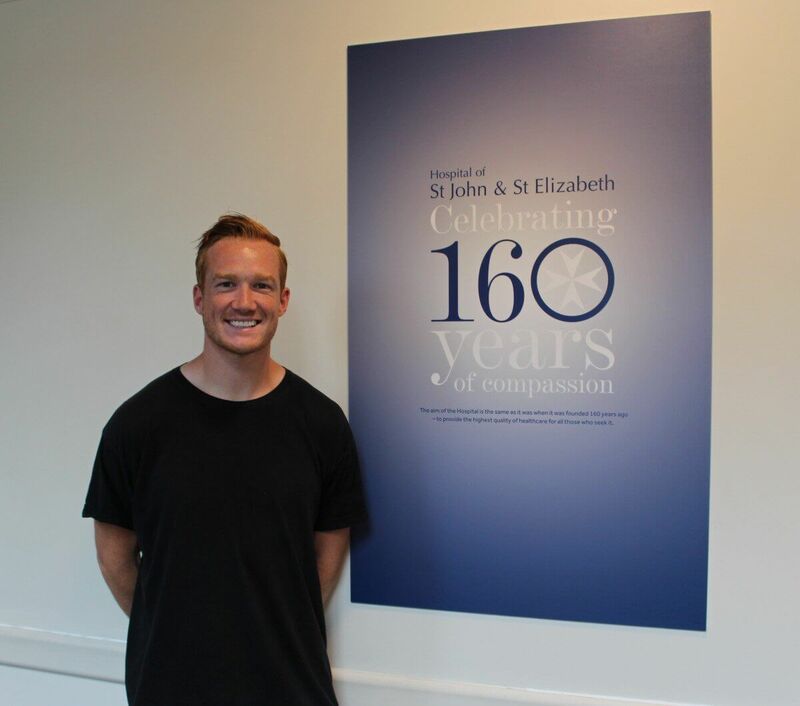 Greg Rutherford visited London Orthopaedic Specialists in 2016 for a checkup before the 2016 Rio Olympic Games. Dame Kelly Holmes visiting London Orthopaedic Specialists for a checkup as part of our partnership with UK Athletics. Perri Shakes-Drayton visited London Orthopaedic Specialists as part of our partnership with UK Athletics.